Customize your 3/4" bore stile and rail sets for standard thickness plywood panels with this cutter. Stack cutters for 3/4" panels. Please note that changing the tongue thickness will change the overall thickness of the stacked stile and rail sets. Adjust your stile and rail material thickness accordingly. 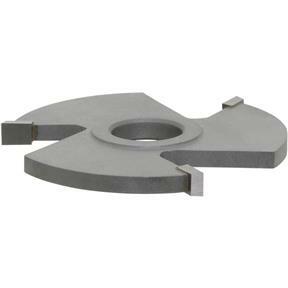 Includes cutter.Dimensions:Use With Door Sets: EntryCutting Length: 1/4"Cutting Depth: 5/8". Customize your 3/4" bore stile and rail sets for standard thickness plywood panels with this cutter. Stack cutters for 3/4" panels. Please note that changing the tongue thickness will change the overall thickness of the stacked stile and rail sets. Adjust your stile and rail material thickness accordingly. Includes cutter.